It’s been brought to my attention that on blogs, Flickr and Facebook, some members of our online Blythe community have been gathering information regarding poorly manufactured Blythe dolls. 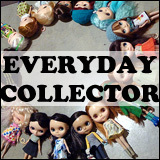 This includes Neo Blythe and Middie Blythe dolls that are new and old releases in poor condition – either with stock make-up, hair, clothing, etc. I sympathize with the fact that people are upset about poorly constructed dolls. 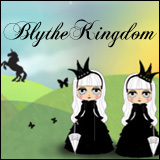 Blythe dolls are not inexpensive items – they are expensive. At a minimum of ~$100-150USD per doll, they are not an inexpensive item. 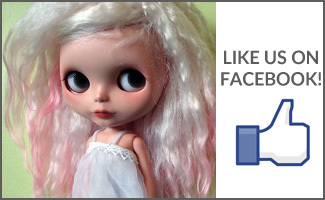 I myself have unboxed Blythes that have had problems with their stock make-up or hair. My own Simply Peppermint has severely lopsided blush, my Punkaholic People had a very poor haircut that resulted in me putting a hat on her all the time. This was before I knew that people were able to return the dolls – returning dolls to a company on an international basis was not something that I had considered. People have posted about communicating with the CWC and Takara Tomy about the concerns they had regarding the quality control with Blythe. I’d like to remind everyone that CWC is the design company, they come up with the concepts, but Takara Tomy is the company that manufactures and produces the finished product. Therefore, complaints of quality (or lack thereof) should be directed towards the manufacturing company (Takara Tomy). I believe that it’s important for Takara Tomy to know that the people who buy Blythe dolls and products are unhappy with the quality of what they are producing. As the consumer, we have a right to expect to receive a product that matches the promotional photos, and an expectation that the dolls do not arrive with irreparable damage. However, it is important for us (the general ‘us’) to write in a manner that can be easily understood. Image from sxc.hu user eduardtrag. Consider in the event your friend is upset with you. Would you be more likely to hear about why she/he is upset if your friend is angrily ranting, or would you be more willing to listen if she/he explained, in a calm and collected manner with evidence to back that up? In order to strive for, and get, any change in the quality control methods in our favourite doll, people who are choosing to write to Takara Tomy need to write their letters in a way that gets their point across, and with evidence to back up their claims. Being calm and not emotionally charged is the best way to write a letter that gets the best possible response in a manner that doesn’t result in insulting people – which would be rude. Use of profanity would not endure the customer service people to take complaints seriously. As for returning dolls, I’d like to remind people that you would have much better luck with returning (and getting a new replacement) for a newer release. Given that older doll releases are no longer being produced, you’d be unlikely to be able to get a doll that was last produced many years ago. It would be reasonable to think that Takara Tomy would be able to find, for example, unblemished Jackie Ramone or University of Love dolls in their warehouses, but it would be unreasonable (and improbable) to expect that there would be Prima Dolly Amaryllis or Asian Butterfly dolls in boxes, hidden away on a dusty shelf waiting to replace one that had been poorly produced. It would be difficult to expect this of limited edition Blythes as well. If you are writing with photographs or other evidence from other people, I would highly recommend seeking permission from those individuals prior to using those photos. Some people may not wish to be included in your communications. Identifying information about the doll (e.g. numbers on the shipping carton) can help Takara Tomy with checking their manufacturing information. For instance, numbers that are meaningless to us could correspond with date of production, who packaged the doll, factory workers who had put the doll together or production lot information. After all, you don’t want to offend people. Whoever ends up reading your email is another human begin. For those that have been in a position of working in customer service before, we all know about those customers. The ones that end up being featured on Not Always Right, the ones that do not come off as reasonable nor rational – I doubt that any Blythe hobbyist would want to end up on there. Nor do we want Takara to decide that it isn’t worth their time/effort to sell to international addressees outside of Japan or other parts of Asia. Sometimes I think we need to take a step back and take a breath. We all love Blythe. That’s the reason why we take photos, sew tiny dresses, collect dozens (upon dozens!) of small shoes. We love a big-headed doll with that sparkle in her eyes. She does come with flaws at times, but we should remember that those who made Blythe also love a big-headed doll and they are human, they are not flawless. Issues come up at times, and yes, quality control has been lacking at times. But we still love that doll, and we should show some respect to those who work on the dolls on the other side of the computer screen. As we know, blythe that quantity are going low. When we see Tea for two, VM or those old days blythe before RBL… They have more little toys like Tea for two; have a tea set and clothing much more than others RBL. * Reminder, they are not anniversary blythe. Is that mean When you guys have problem with her blythe, please don’t put it on public when those companies did not help us? What is respect when the quantity going lower and lower, price are higher and higher, problems more and more, but did not respond to the victims? Why you cannot show some respect to the others have different opinions ? Also, you are funny. If you cannot understand where people come from, you should not post what you post. I’ve gotten several defective Blythes. My saga with Thumpty Thump is pretty much the stuff of legends (I am sure you all know who I am). But you know what? I got them replaced, and I did it by contacting the people at the links Michelle has above. Was it a hassle? Yes. Should QC be better? Yes. Does that entitle you to go on a rampage harassing people? Or make it reasonable to try to exchange a doll who is 5+ years old (even if she’s new in the box). NO. Furthermore, if the dolls “flaws” can be fixed with a hairbrush, hair wash, or touch up trim THEN THEY ARE NOT FLAWS. Expecting hair perfection straight out of the box is like expecting you’ll never have to brush, wash, or comb your own hair. To be perfectly honest, most of the dolls in the “Takara Quality” group look absolutely FINE to me. I’ve seen the facebook group as well, and I don’t see the problem with most of THOSE dolls either. There are defects, and then there is just being WAY over picky. If you go over a new doll (any brand, any maker) LOOKING for something that isn’t quite perfect, I can pretty much guarantee you’re going to find it. I think this post is super helpful! I too have contacted Takara and they said to return the doll in the original shipper because the number is linked to production information so they could do a qc investigation. I think giving them as much information as possible helps us as a whole in getting better quality dolls. Hi HELLO? ARE YOU OK. Why do you think that this blog is being disrespectful? All she is simply saying is that people who have issues with their dolls should collect the information and then write a letter that is easily understood. I think this post is being respectful to BOTH SIDES because it prompts you to remember that you’re not talking some faceless person on the internet, that there is a REAL HUMAN BEING answering your emails, not a robot, and that the person has feelings. Thank you! This post is very good information and I hope people will make use of it! 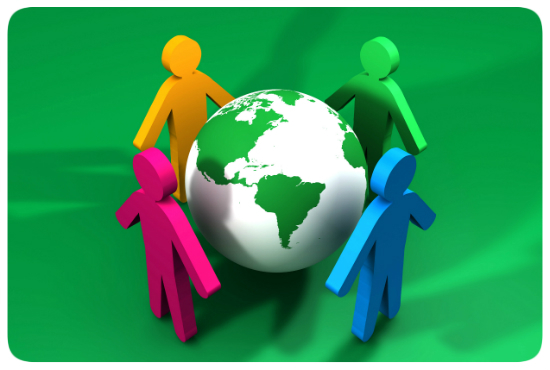 I think the difficult thing is maybe to keep cultural differences in mind when writing a letter – some cultures are more hot heated than others, and while they don’t perceive it as inpolite behavior other people do. And when dealing with people and customer service in a completely different society you can quickly can get lost. Opposing Meg, I do think people can expect getting a 150$ doll that has no need to get a hair wash or needs to get fixed up. I can’t remember any of my cheaper dolls coming with hair greasy as my WelcomeWinter’s. Being in Europe, I lost my right to send her back to the German shop within 30 minutes after unpacking and washing / cutting the frizzy ends and a very unruly fringe. To me that clearly is a flaw. Also when dealing with high import taxes you rather not want to exchange dolls. If I had to go through importing 4 dolls, I would have paid taxes about ~150$ for that. You can get those costs back of course, but that means a lot of hassle by sending the item back through the customs office and it takes a lot of time. This is not the fault of TakaraTomy but is annoying when you are getting 3 faulty replacements when none of those dolls should have made it to “Quality Control” in the beginning. Thank you for explaining, minkidynamite. I understand that. It’s the same with all other products. Like if I alter a shirt, I wouldn’t expect a store to take it back. I think customs fees are very high. Takara was able to replace a University of love doll for me. I had to return it and let the customer service know where I bought it from. They cover shipping costs back to them. They gave me an account number to use.